Fantastic ideas, great eye for details, very reasonable, and project completed when promised! 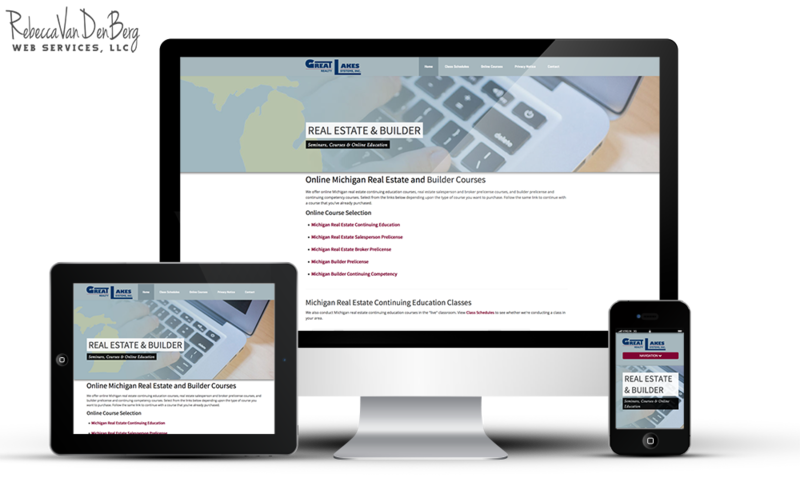 President, Great Lakes Realty Systems, Inc.
Great Lakes Realty Systems, Inc. (GLRS) hired RVWS to convert their existing HTML website into a Responsive HTML website. Jack Miedema established GLRS in 1994 and is a leader in real estate education. 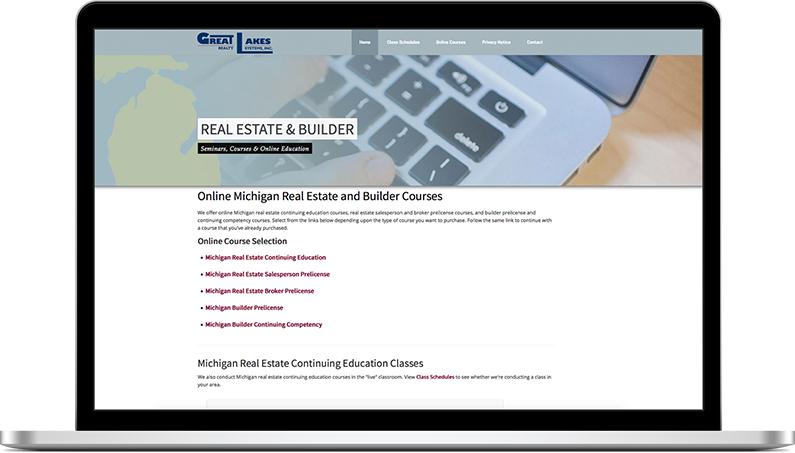 They were one of the first to offer online courses and currently offer online courses for Michigan Real Estate Continuing Education, Michigan Real Estate Salesperson Prelicense, Michigan Real Estate Broker Prelicense, Michigan Builder Prelicense, and Michigan Builder Continuing Competency. The website serves as the entry point for the online course store and was originally built with html tables, as were most websites up until the development and evolution of CSS (cascading style sheets). We worked with a very specific set of guidelines. The company needed to maintain the existing branding by keeping the logo and website colors exactly the same. We opted to use a responsive bootstrap code base to create and customize the new website. We kept the layout clean and crisp, while updating it to be mobile friendly.